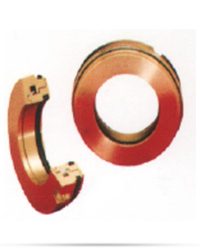 Eliminates bearing failures due to lubricant contamination. Close-tolerance labyrinth design locks out moisture, grit and dust. Allows bearing frame pressure vents (a common point of contamination) to be plugged. Lasts for the life of the pump and fits existing lip seal cavities. Unitized construction for error-proof installation. Recommended for use on all process pumps and other rotating equipment. Numerous sizes available.